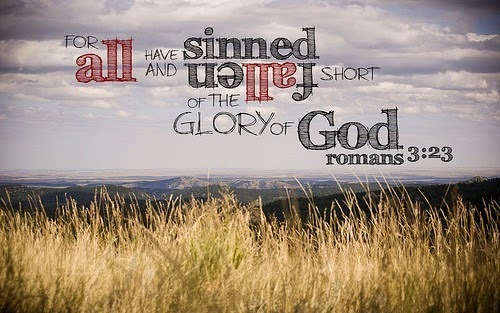 The Bible plainly says, “ALL have sinned and come short of God’s glory. There is none righteous; no, not one.” True! When you and I first came to faith in Christ, that’s how we came: In our sinful state. Yes, it’s true, we all still have sin IN us because of our flesh. We are resurrected spirits in an unresurrected body. If we deny THAT FACT, we deceive ourselves. Our spirits, though, are completely cleansed, once for all time. Otherwise, the Holy Spirit could not live in us. He would have to come and go, as though there was a revolving door. But of course, thank God, there is no revolving door. As we walk through life, however, occasionally we commit sins. They are immediately cleansed as if we were living under a waterfall. Jesus is our covering and our advocate with the Father, Who judges us not guilty. Therefore, the Father always sees Jesus when He looks at us. The opening passage of scripture, unfortunately, has been misunderstood and thereby misapplied to mean something it does not. Paul never intended to imply that believers are cleansed of their sins in the past up to their conversion, then must confess their sins again and again from then on to be made right with God. That is not accurate. 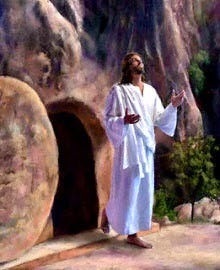 Jesus made us right with God permanently the day we received Him as our Savior. Why is this doctrine so widely taught if it isn’t true? Because the word of God is not being rightly divided. Let’s study this passage, learn some things about righly dividing, and see if we can clear up the confusion. What does it mean to “Rightly divide?” The Bible is actually “DIVIDED” into different dispensations or covenants. “RIGHTLY DIVIDING” means NOT mixing up the covenants. Right here is where many pastors, preachers, and teaches miss Righly dividing also involves determining the proper context of any passage. Context is king, as you will see, because if you take any text out of its CON-text, you are left with a “CON.” We don’t want any of that! Below are some basic guidelines to righly dividing. Basics Of Determining Proper Context. #1. Who wrote the book. #2. To whom was it written. #3. Why was it written. #4. When was it written. #5. Historical and cultural influences at the time it was written. John was the only one of Jesus’ disciples who wasn’t martyred. You recall that he was the youngest of all, too. He lived to a ripe old age because, after Paul’s death, many false doctrines were going to arise. Gnosticism was one that spread far and wide. Many would assert that Jesus came “In spirit,” not in the flesh. John was alive to serve as an eye witness of the truth to combat those false doctrines. All three Apostles: Peter, James and John, the Apostle of love who wrote 1st John, ministered primarily “To the Jews.” Their names are always listed in that order and not by accident! Their names mean, “Rock or stone, Usurp or replace, and grace,” respectively. It’s a message to us! “The law has been replaced by grace!” And who lived under the Law for 1500 years? The Jewish people! God is so cool how He leaves us hints and clues throughout the Bible. 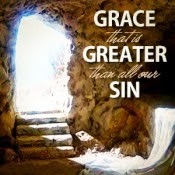 He wants there to be NO DOUBT that we are no longer under Law, but under grace. We don’t need the external governing of the Law when we have living in us the One Who wrote the Law. He guides and directs from within by His Holy Spirit, giving us right desires. They had been under the Ten Commandments for 1500 years. Because of that, they faced certain issues that the Gentiles did not. There was some serious reprogramming to do in order to “replace the law” in their lives. Old habits die hard. The good news is that you and I, Church, NEVER AGAIN have to ask God to forgive us of our sins for the rest of our lives from the moment we were saved because of Jesus’ FINISHED work. Once you have come to faith in Christ, confessed your sins, and received the gift of righteousness, THAT WAS THE END OF YOUR SIN DEBT BEFORE GOD. As far as He is concerned, it’s a done deal. Under the New Covenant, we confess our faults and failings to God because we already are forgiven. We tell them to Him so that He can help us overcome the sinful behaviors with which each of us personally struggle because of our sinful flesh. That is what “Working out your own salvation,” means. Your struggles will be different from your neighbor’s. Asking forgiveness is no longer vertical, between us and God, but horizontal: Human to human. We still need to ask forgiveness for wrongs committed and make amends. That never changes. And. If you commit a crime, the police are still going to come for you with your consequence. Reassurance From The Old Testament. Need further assurance that the war is over? Good thing God has lots more! The Holy Spirit has provided no lack of object lessons and visual aides throughout the Old Testament to help us understand and be reassured. 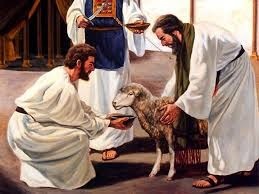 Under the Old Covenant when a man brought his lamb to the priest, he didn’t look at the man. Why would he do that when it was obvious why the man was there. No. The priest checked over his lamb. Under the Old Covenant, they had to offer right sacrifices over and over again because their forgiveness was only temporary and their sins only covered. That’s the meaning of the word, “Atonement: To cover.” The sacrifice offered on Yom Kippur, the Day of Atonement, for the whole nation covered them for the next 12 months! You and I have a BETTER COVENANT based on BETTER BLOOD and a BETTER SACRIFICE! Our Lamb is FOREVER PERFECT and was only offered ONCE FOR ALL TIME. 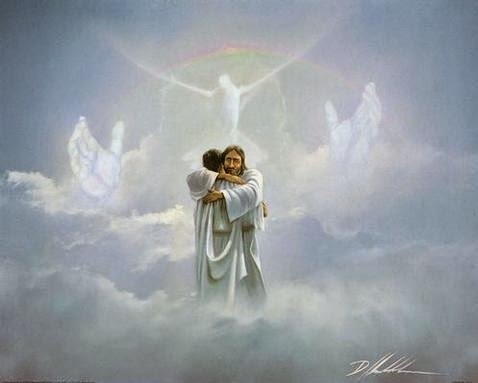 Best of all, our sins are CLEANSED FOR FOREVER, past, present future, not merely covered! God, like the Old Testament priests, doesn’t look at you today to evaluate you. He looks at your Lamb, JESUS!!! As long as you Lamb is acceptable to the Father so are you! Jesus is Great High Priest FOREVER after the order of Melchizedek and His sacrifice is ETERNALLY ACCEPTABLE TO GOD. John, in the first chapter of 1st John, is not addressing believers. He is reasoning with Jewish Gnostics. They are unsaved. Read carefully and you will discover that chapter one does not begin with either of the above mentioned salutations. In chapter 2 however he does say “Little children.” From that point on, he is addressing the Church and no more the unbelieving Jews. 1 John 1:9 is a salvation verse not a lifestyle for believers. If this concept of continually asking God to forgive our sins day by day was SO important, why did Paul NOT MENTION IT EVEN ONCE in any of his writings to the Gentile churches? If this practice is so vitally important, as some assert, then he most certainly should have told us, particularly the Corinthian Church, to confess their sins to God. Why them? Because they were the most immoral of all! These folks were so mixed up, they not only visited temple prostitutes, but we’re having happy hour during holy communion! Holy cow! Yet not ONCE does Paul make any mention of confessing their sins to God. Anythng in there about being restored to fellowship with God? The bold, unlined word, “ARE,” is another clue. It is in the PRESENT TENSE. Their wrong behavior did not affect their right standing. That’s why he reminded them of their true identity. As I said, 1 John was written 60 years AFTER the birth of the Church. Did all believers prior to it’s writing have unconfessed and, by implication, unforgiven sins for all that time until John wrote about it and end up in hell??? Of course not. If this practice was really all that important that they really needed to know, PAUL SHOULD HAVE SAID SO. HE DID NOT. Just in case there are a few skeptics out there, let’s examine the Greek text, too. The word for “Forgive: aphiémi,” and the word “Cleanse: katharisē,” are in the 3rd person active aorist tense. This means they are ONE-TIME, NEVER-TO-BE-REPEATED ACTS with ongoing effectiveness, DONE TO YOU. It has nothing to do with your human working. Church, God is willing that NONE should perish but that ALL should come to repentance. Repentance simply means “Change your mind: metanóia.” HE’S THE ONE WHO CLEANSED YOU once for all time….and He ISN’T GOING TO TAKE IT BACK…..not EVER. As a believer, you are completely and irrevocably cleansed of all sins for your ENTIRE life, not just your past sins up to the present. From now until eternity, the number of times we will have to ask God to forgive us our sins is…….yep; you guessed it: NEVER AGAIN.